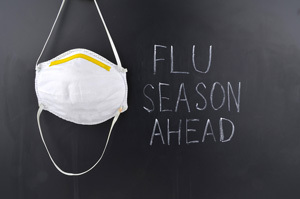 How do you prevent a cold or flu this season? As the seasons are changing; becoming colder, darker and the days are left getting shorter. It is hard to surpass that distant memory of your cold and flu filled season last year. But with so much school work, college work or your employment at hand, how can you be one step ahead of being bedridden? Creating a tougher immune system will keep you strong and healthy over the colder months will mean you considering your daily actions, supplements and diet. The flu is contagious and it is important to remember especially when travelling on the train and buses around town, not to touch your eyes, face and mouth with your hands as these are the culprits for the spread of the majority of these winter illnesses. When you feel that you are about the sneeze or cough do not do so into your hands, try and do it into the inside of the crease of your arms or a tissue. This avoids the germs being spread quickly via your hands. Be cautious when you’re at school, college or work as germs can spread fast and this could be done simply by a pen being shared or using the same telephone or desk space. Designate a personal stationary area for you to limit how often it spreads and make sure that you are cleaning surfaces you use regularly. People say good exercise and healthy eating can keep you fresh faced and ready for a winter without cold and flu is true. Certain foods contain vitamin C and zinc which if had daily is believed to shorten the length and severity of a cold. Further studies have also shown the Echinacea is a good source of vitamin to keep you healthy during the flu season. It’s an herbal remedy from the root, seeds and other parts of the Echinacea plant that is believed to protect against colds. If you don’t feel like emptying your pocket to spend on vitamins there are other factors to consider such as drinking lots of hot drinks, lots of water and iron rich foods, these include brown rice, pulses and beans, fish and dark-leafy vegetables such as curly kale. Trying all these aspects may reduce your chance of catching the flu or a cold during the colder months to make sure you are not absent from your place of work and keep on top of everything you need to achieve before the end of 2014.